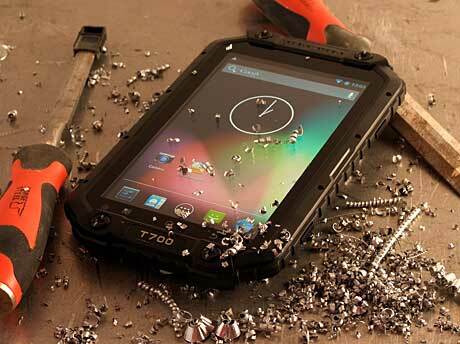 Rugged device maker Toughshield has announced a waterproof 7-inch tablet with NFC. The Toughshield T700 is IP68-rated, offers dual SIM slots and runs Android 4.2 Jelly Bean. “The T700 is ideal for a range of applications including field sales, regulatory inspection, hospitality and domiciliary care,” says the company’s Mark Davis. The tablet will be available from April 2014.